I’m celebrating this week’s release of JUST RIGHT by bringing back the “eight terrible titles” game that made the rounds on Facebook a couple of months ago. 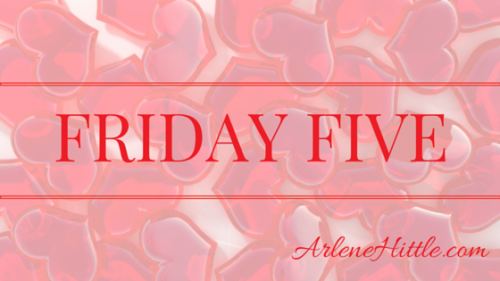 But since this is “Friday Five,” I’m only going to list five terrible titles. Just to catch you up, JUST RIGHT is the tale of Goldilocks and the Three Bears, reimagined. Callista Gold escapes from Hollywood—and the scandalous photos hackers leaked to the tabloids. She buys a cottage in northern Arizona, sight unseen, and heads for what she thinks will be a mountain retreat. But like her now-tainted reputation, Rosewood Cottage needs some major fixing-up. Contractor Tyler Behr—one-third of Behr Construction—is just the man for the job. Problem is Ty had other plans: buy Rosewood and flip it. He agrees to work for the frosty beauty, with thoughts of delaying the project long enough for her to get bored and go back to wherever she came from. But Callie is no prissy miss. She jumps in to help with the renovations, perfectly at home with construction—and one particular construction worker. Sparks ignite between them with every swing of the hammer, until a photo of Ty and Callie in a compromising position creates another scandal for her and a dilemma for him. He’s never been big on sharing, not even something as simple as loaning power tools to his own brothers. How can he share the woman he loves with the movie-going public? Intrigued yet? I would be. 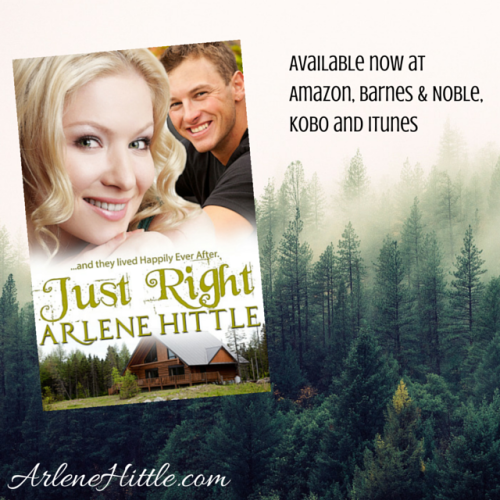 Snag JUST RIGHT at Amazon, Barnes & Noble, Kobo and iTunes. 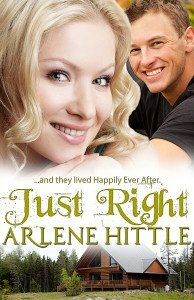 My grown-up Goldilocks tale, Just Right, has hit all the major booksellers, and I couldn’t be more thrilled! 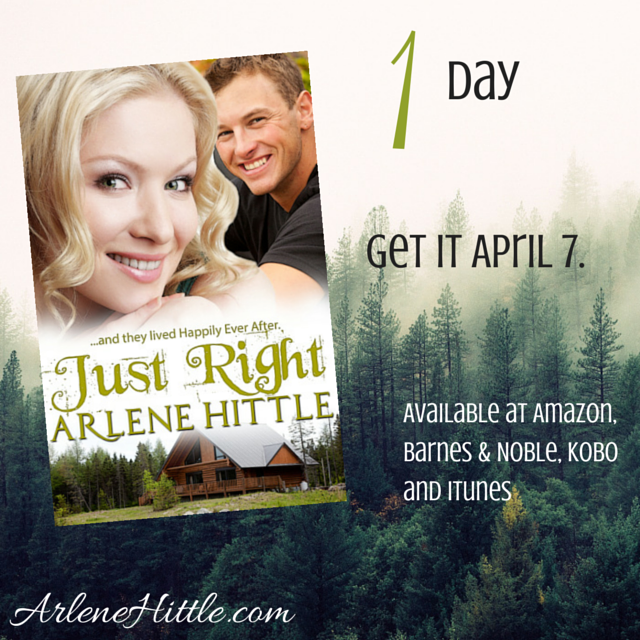 Just Right is my fifth book with Turquoise Morning Press. It’s available now as a standalone, and at the end of the month, it’ll be released as part of the “and they lived Happily Ever After” boxed set. Fairytales are hot right now, what with ABC’s “Once Upon A Time” and NBC’s “Grimm.” I had a blast brainstorming my own adult twist on the stories I grew up hearing. America’s Sweetheart, Callista Gold, needs an escape from Hollywood—and the scandalous photos hackers leaked to the tabloids. She buys a cottage in northern Arizona, sight unseen, and heads for what she thinks will be a mountain retreat. But like her now-tainted reputation, Rosewood Cottage needs some major fixing-up. Contractor Tyler Behr—one-third of Behr Construction—is just the man for the job. Problem is Ty had other plans: buy Rosewood and flip it. He agrees to work for the frosty beauty, with thoughts of delaying the project long enough for her to get bored and go back to wherever she came from. Available now at Turquoise Morning Press, Amazon, Barnes & Noble, Kobo, iTunes, All Romance eBooks and Smashwords. Or add it to your TBR list on Goodreads. Okay, in truth, even though I’m sure it’ll taste ah-mazing, I’m the tiniest bit scared. I’ve tried escargot, frog legs and alligator, but scrambling a Cadbury Creme Egg makes me quake in my hot-pink Reebok Skyscapes. Go figure. If getting your name out there is half the battle, I should be winning this war. I feel as if I’ve been screaming my name from the top of the Empire State Building and scattering my book titles to the wind. I love the idea of including friends’ releases in my newsletter, so I might just steal it. You’ve been warned. • I’ve been invited to be a guest on author Kim Smith‘s Writer Groupie podcast. My first podcast — and I’ll be doing it via Skype, so it’ll be on YouTube, too. Seriously, though. I’m both nervous and excited. Now that the antenna fell off my car and I can’t get it to stay on, I’ve only recently started listening to podcasts. Some radio stations still come in, but they fuzz in and out, so I’ve been listening to podcasts on the drive to work, or on longer drives out of town. I find them informative, inspirational and entertaining. If I can manage to be one of those three, I’ll consider my podcast debut a #win. We’re set to record the interview Friday night, around 5 p.m. my time. I’ll link to it when it’s ready. • BREAKING ALL THE RULES is now listed on Night Owl Reviews. It hasn’t been selected for a review yet (that I know of), so if you know anyone who reviews for Night Owl and likes romcom with a geeky bent, feel free to talk it up. • BREAKING ALL THE RULES got its first review on Amazon — four stars! • The 2015 Goodreads Author Cyber Convention starts Friday. Click the banner to visit the fairgrounds. 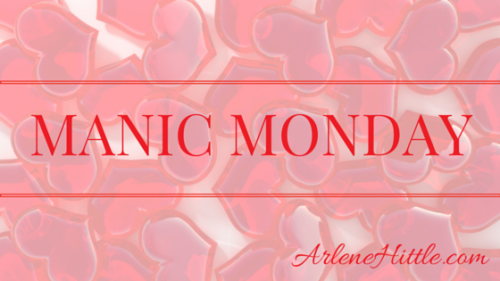 My “booth” is here: https://www.goodreads.com/topic/show/2223533-let-the-games-begin-arlene-hittle-s-contemporary-romantic-comedy. • I joined Camp NaNoWriMo. Been adding new words to an old, old story that I’m revamping as a Harlequin Blaze. I submitted the first chapter last month during the #BlazeBlitz on Twitter, and now have everything crossed in hopes that they like it and want to see more. I could handle being a Blaze Babe. 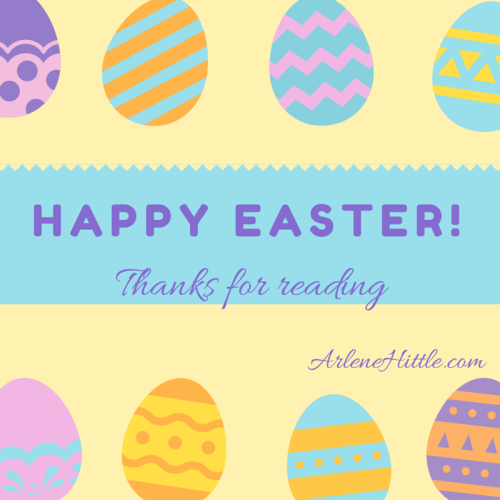 May your day be filled with reflection, rejoicing, fun and as many Cadbury Creme Eggs as you’d like! Erm … you can’t tell I’ve been spending too much time on Facebook, and not enough writing, right? Don’t forget Lizzie Shane’s giving away a copy of DIVA IN THE DUGOUT. Today’s the last day to enter; she’s picking a winner Monday morning. Click here to enter.